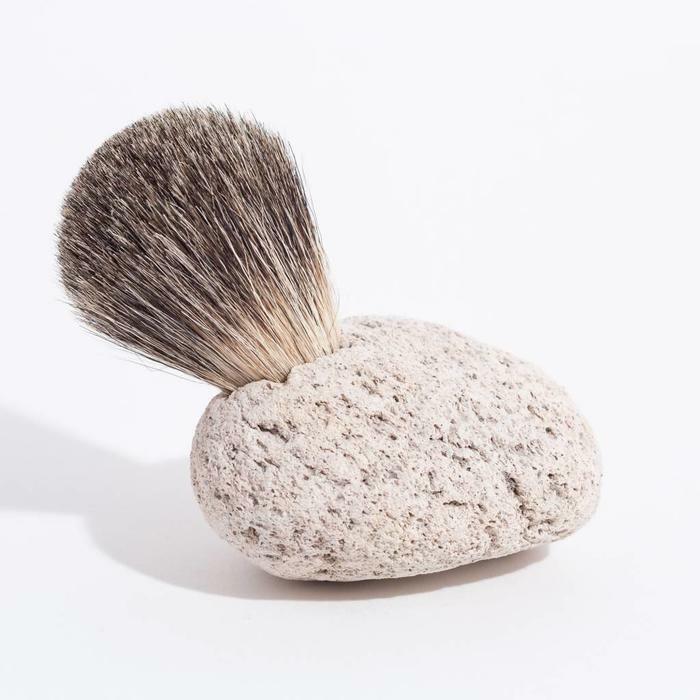 Pumice stones implanted with a natural boar hair brush. Great for cleaning, shaving, exfoliating and schluffing. Each is unique. Made with pumice + boar hair.